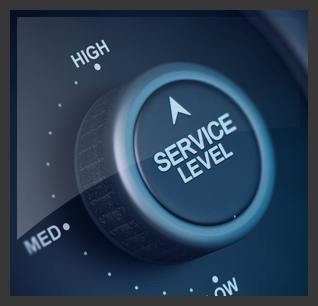 Model Electronics offers the broadest range of services in the industry. We make sure our OEM customers receive the greatest return for their investment by providing a closed-loop support model. We integrate repair and logistics functions in order to improve the model to its highest efficiency. Because of this integration, there is no need for transactions or associated costs between a traditional logistics provider and repair services provider. ADVANCED EXCHANGE PROGRAM - The advanced exchange program we offer at Model Electronics ensures a fast solution to all our customers with free next-day shipping on all orders and an extensive tracking and barcode system to guarantee proper distribution. ASSEMBLY/KITTING - All assembly is done in-house in our facility in Ramsey, New Jersey. We specialize kitting, pick and pack, and assembly services. CALIBRATION - Complete speedometer and instrumentation repair. We meet all OEM specifications. CERTIFICATION - Model Electronics is ISO 9001 certified. CONVERSION - We provide mph to km/hr conversion to most makes and models of foreign or domestic vehicles. DISTRIBUTION - Model Electronics offers free next day shipping to all customers worldwide from our facility in Ramsey, New Jersey. Model Electronics utilizes the services of DHL, FedEx, and UPS while also maintaining out own carrier based accounts. We bar code all of our finished goods according to our client’s specifications. This helps us to ensure proper packaging, tracking, and distribution of products. QUALITY CONTROL - Model Electronics has some of the most stringent quality controls that are stationed throughout the facility and continuously check quality of remanufactured and repaired systems. Our quality control procedures are strictly maintained and our expert team contributes to our quality process. REMANUFACTURING - At Model Electronics, we have a Quality Management System that encompasses the remanufacturing of audio, video, instrument and display products, assembly of Passive Occupancy Detection System (PODS) and validating cellular telephone Blue Tooth connectivity to OEM vehicle system for the automotive industry. REPAIRS (in and out of warranty) - We do all our repairs and remanufacturing in a clean and ESD-free environment in order to bring you the best quality and reliability. At Model Electronics, we always preform all of our customer’s specific repairs, modifications and software updates as well as cosmetic and component replacements when necessary. WAREHOUSING/ LOGISTICS - Model Electronics is EDI compliant and we ship worldwide daily. We service throughout the United States to Canada, Australia, across Europe, Asia and the Middle East. FedEx Ground and Express pickups are made at our facility at least three times per day. At Model Electronics, we maintain our own carrier based accounts as well as shipping third party.